Who is Dr Allan T Moore? 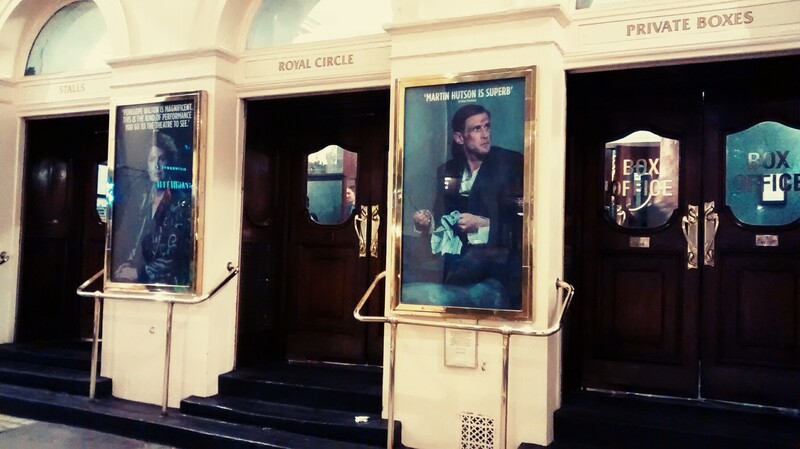 As previously mentioned, every time I go to work in London I make a point of going to see something in the theatre that has a link to either law, criminal justice, politics, psychology etc. In other words, something that has a link to my broad academic interests. I was extremely fortunate that whilst in London this past week there were two productions that caught my eye, and so I was sure to set aside the time to go to both. 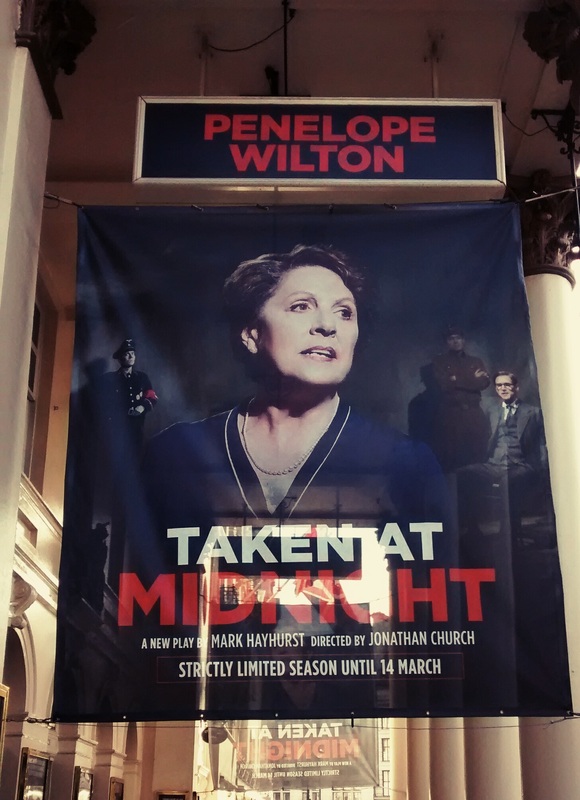 First of all there was ‘Taken at Midnight’, at the Theatre Royal, Haymarket. In a way I was lucky to see the show on this particular night (Wednesday 18th February 2015) as during the show we were faced with a rather unique issue. Still – more on that later. The play follows the real life story of Hans Litten. Some of you reading this blog may already know the background here. Hans Litten was the lawyer who in 1931 subpoenaed Adolf Hitler to appear as a witness at a trial of four storm troopers accused of murder. This action, or rather the skill he displayed in running circles around Hitler during the trial, would prove to be his downfall, as in the aftermath of the Reichstag fire he was taken from his home and placed in ‘protective custody’ by the Nazi regime. Following various moves from concentration camp to concentration camp (in part due to Jewish blood in his family history), he eventually committed suicide in 1938 after refusing to assist the Nazis with their attempts to have various offenders’ (found guilty of offences before they came to power) convictions overturned. The show itself was produced in a very clever way, with the set design split in two (shortly to cause a problem that I sadly predicted!) on the main stage. As you will be able to see in the picture below, the foreground played various office, home, and outdoor locations, with the background playing out the various concentration camp scenes. For all foreground scenes the story circulated around Hans’ mother Irmgard Litten, played with an exceptional performance by Penelope Wilton. These scenes were almost 50/50 split between Irmgard’s monologue and live action between her and the other characters including her husband Fritz (Allan Corduner), SS officer Dr Conrad (John Light), and British diplomat Lord Clifford Allen (David Yelland). Wilton plays her role masterfully, moving between distraught mother, cunning strategist, and strong opponent to the male protagonists of the piece with ease. Her ongoing struggle as she fights on behalf of her son is engaging from start to finish, and the director quite correctly made the decision to have her strong to the last – it would have been easy to have her character fall apart following the death of her son after a 5 year battle – this would have been the stereotypical ‘dramatical’ approach. BUT, this would not have been in keeping with the overall portrayal of Irmgard, who had been shown to be a rock throughout. It would have been easy for the performance from a lesser actress to have come across as unemotional, yet Penelope Wilton managed to get it just right – showing strength, yet still garnering sympathy and empathy. Her performance came across as being a sort of ‘dignified agony’. As Hans, Martin Hutson was excellent…. whilst he was there…. In various scenes, his dialogue, in particular with Erich Muhsam (played by Pip Donaghy), was exquisitely delivered, whether showing pain from his torture-inflicted injuries, or humour during his (ill-fated) re-enactment of the court scenes whilst he popped on a false moustache and pretended to be Adolf Hitler…. So now to stop being cryptic and outline the ‘disaster’ that I have hinted at during various comments in this review. Mid-way through the fist act, during the aforementioned courtroom re-enactment, there were crates on stage, one of which Martin Hutson was to stand on as though he were in the witness stand. The problem was that these crates were placed right at the edge of the split in the stage where there was already a 1-2 foot jump down to the lower part of the stage. As these crates were placed prior to the scene in question, I thought to myself ‘If somebody were to fall from there (the 1-2 feet plus the further foot or so from the crate), it could be a bit nasty’. Fast forward to 10 minutes later, and as the scene called for, whilst re-enacting the court scene, the guards burst in to the room, and the main characters were supposed to quickly disperse so as to avoid suspicion. It was at this point that in reality, not part of the show, Martin Hutson lost his footing and fell to the second stage below. He very quickly got up and got on with it – many in the audience may not even have realised that it wasn’t supposed to happen as the scene was certainly supposed to be a bit chaotic. Regardless, being a true professional, Hutson continued to the end of the act seamlessly. Then at the half-time interval, a gentleman came out (he did not introduce himself so I do not know if it was the director or the theatre manager) and announced that Martin Hutson had hurt his leg and had to go to hospital, and so the understudy Marc Antolin would stand in as Hans Litten for the remainder of the performance. And he was superb. 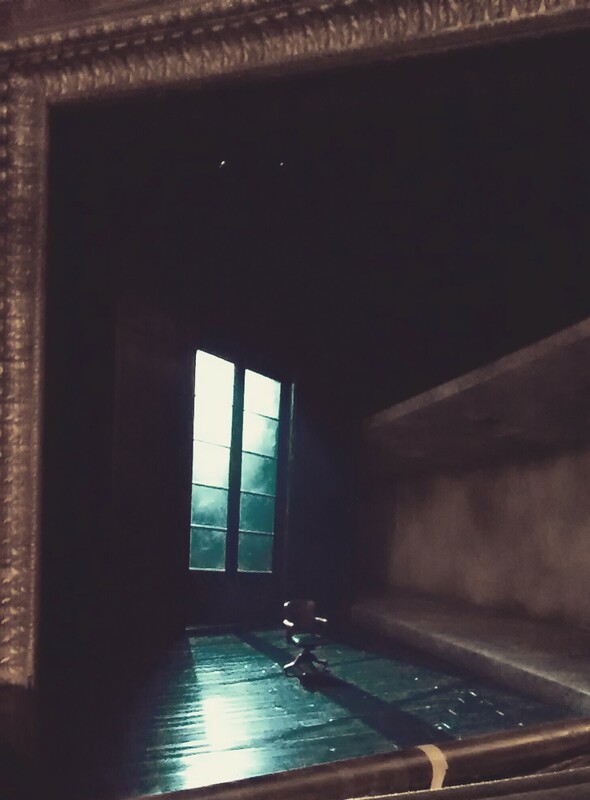 It must have been incredibly difficult to be thrust into the production at that point – it wasn’t under normal circumstances of the lead actor having a day off, or being ill before the production. Antolin would have had not idea whatsoever that he was to be called upon until a few minutes before he went on. And so if ever a performance displayed leading man qualities it was this one. Antolin played the part of Hans during his slow spiral into depression and illness, and did so as a true professional. Overall, the production raised a number of question about the relationship between law and politics, the pressures and fear of reprisals that lawyers and barristers can have, especially when operating under sensitive regimes. Thankfully, the production showed the profession of law in a sympathetic light, outlining the ethical struggles that a true professional lawyer has to go through when faced with difficult questions being asked of him. Hans Litten remained an ethical professional to the last. This was a 5 star production, which in spite of the problems that cropped up managed to continue without missing a beat. It was heartening to see during the curtain call that all of the actors, individually gave Marc Antolin a round of applause. I just wonder if the set designers / producers might have a bit of a rethink regarding the placing of those crates given the obvious hazardous situation that the placement created – I actually find it quite hard to believe that nobody else foresaw the obvious danger that I did within moments of seeing how it was laid out. Still – excellent all round!